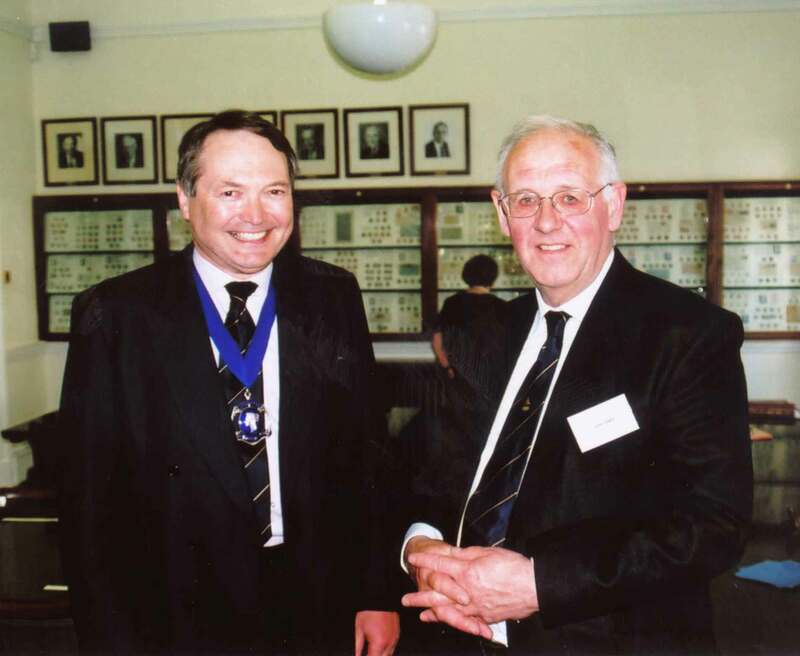 Distinguished PPS member, Mr John Dahl, presented May’s Sir Daniel Cooper lecture at the Royal Philatelic Society, London on the 11th May 2006 with his talk and display titled “The embossed issues of Portugal”. The lecture was well attended and you will be able to read more details of the same on this Royal Philatelic link. 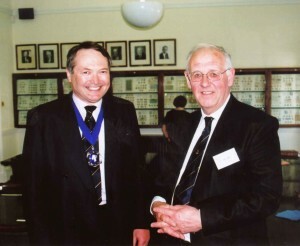 Mr John Dahl (right) with the president of the Royal, Mr Christopher Harman. 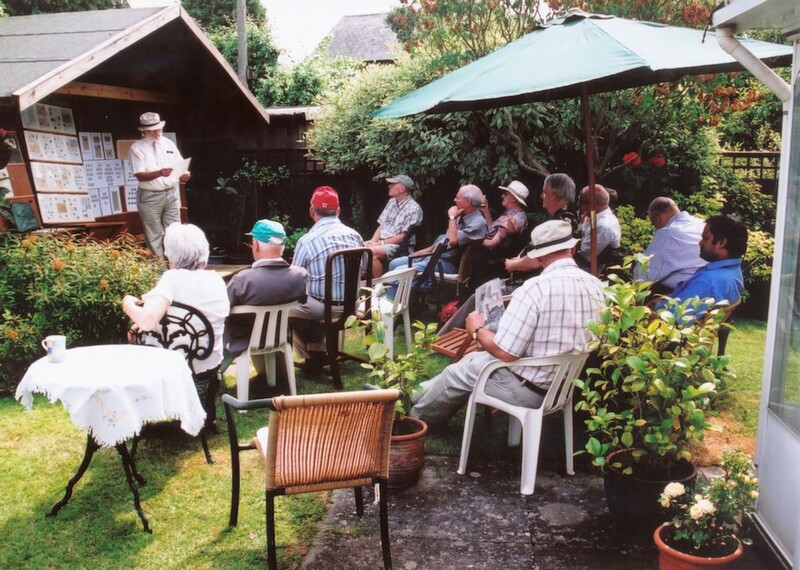 The philatelic proceedings were I fear rather truncated due to a certain football match, although we did of course find time to make well-deserved thankyou presentations to Leslye’s faithful band of helpers. Those present, in addition to the displayers referred to above, were our President Leslye Dunkley, Roger Lawson, João Paulo Cota, David McIntyre, Paul Woodness, Ron, Rowan, Oran and Quin van der Holt, and John Swan. It was yet again a memorable afternoon and our warmest thanks go to Leslye for hospitality above and beyond the call of duty. 2. 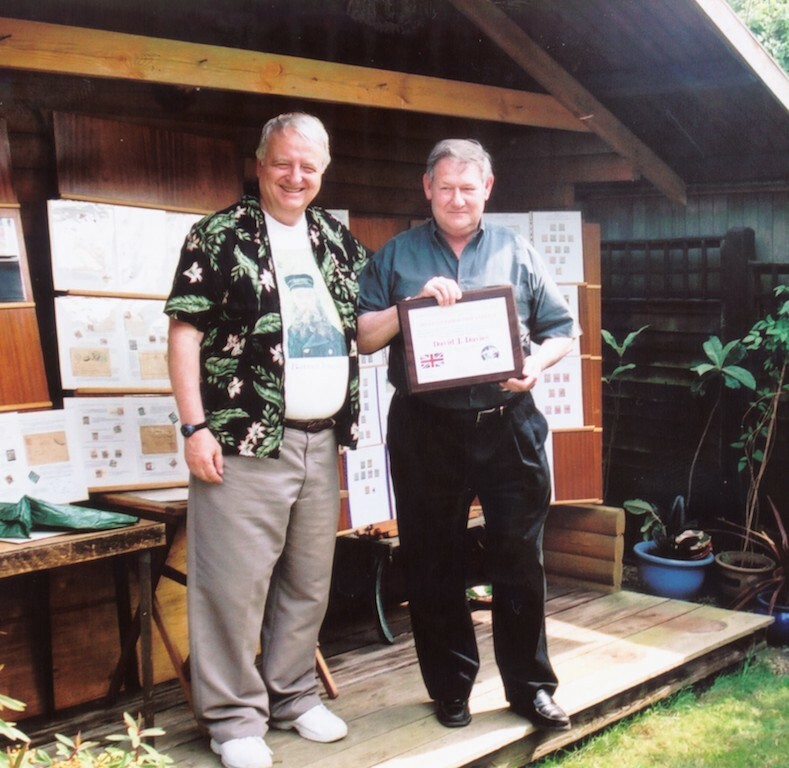 Dave David (right) receiving the ‘Distinguished Philatelist’ award from ISPP and PPS member Stephen Washburne. This award has been awarded by our US sister society ISPP to Dave for his great philatelic achievements. 3. 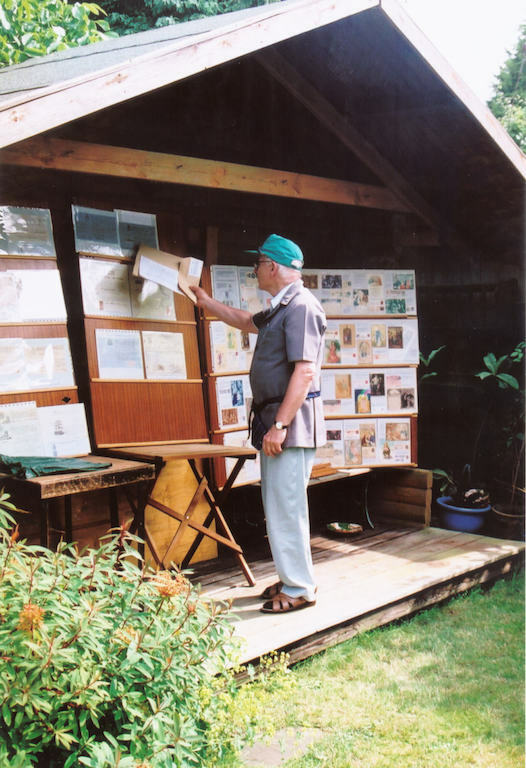 Alun Southwood presenting his provisional townmarks (1879 – 1912) exhibit. 4. 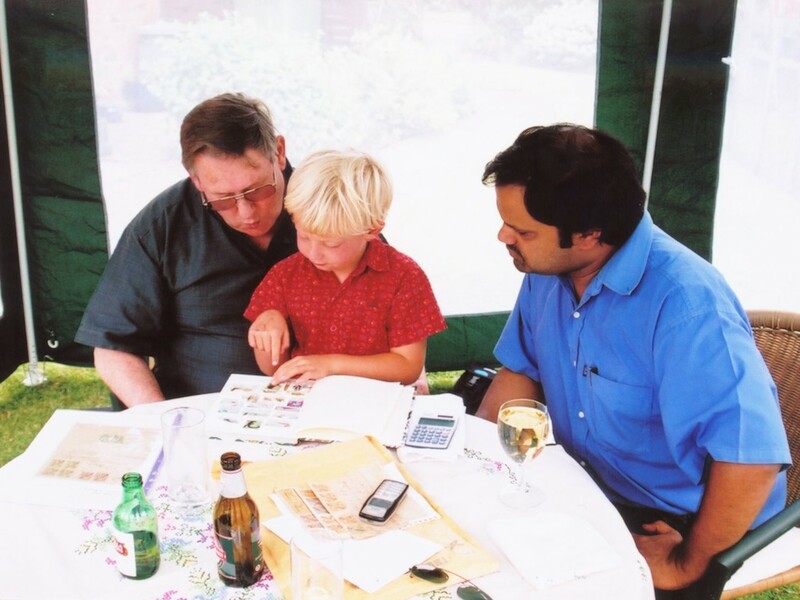 Young Oran Van der Holt, our buddy philatelist and son of our bulletin editor, describing his World Dinossaurs collection to Dave Davis and João Paulo Cota in the ‘Portuguese India tent’…. 5. Maurice Taylor explaining his exhibit – along with his ever novel and innovative way of wearing the PPS tie! España 06, the great Iberian philatelic show is going to take place between October 7-13, 2006 at the beautiful Spanish city of Malaga. There will be lots of world class exhibitors participating and it is anticipated that there will be some good Portuguese philately going to be displayed. More details on this website. Washington 2006, the famous American world philatelic exhibition, which ran from 27th May June 3rd at the Washington, DC Convention Center, Washington, USA came to an end recently. There were great exhibits to be seen with lots of the world’s rarities on display, besides more than 200 dealers on the floor. More information can be viewed and downloaded on the show’s official website. 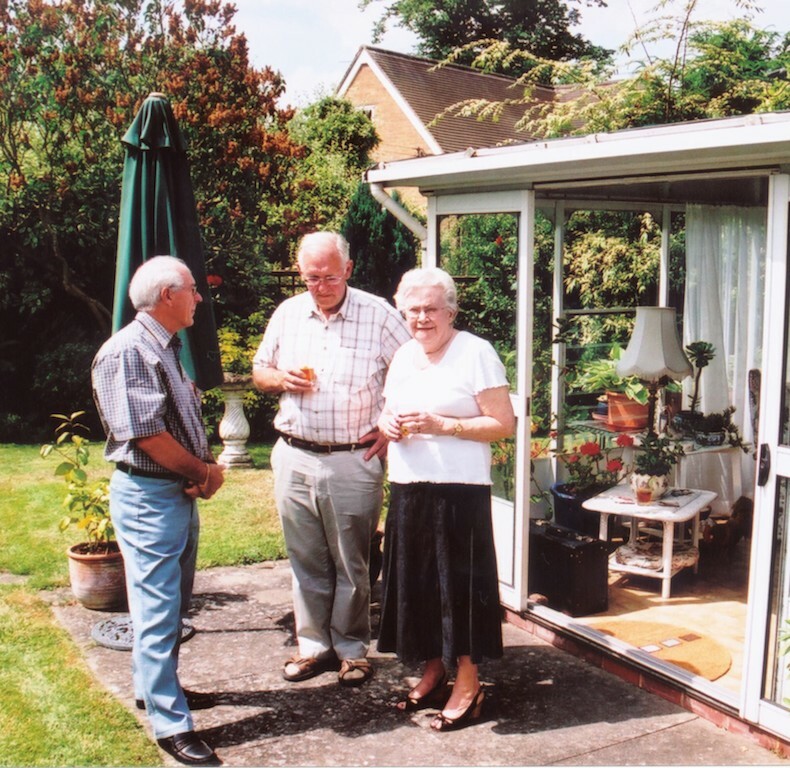 Also, the ISPP has a one frame exhibit “Collecting P & C” in the Society/ Club section.